So we started smelling gas the other day, called LG&E, and the very helpful and competent guy finds a leak in the service line under our front yard. It could be 98 years old, the age of the house, he says, so this is no surprise. Which means we're turned off, no stover or oven, no clothes dryer, and no hot water until we get it fixed. The guy told us that there's a broad range of capability and competence for gas-line work among local plumbers. We have a regular plumber who we'll call, but we want to get a couple more bids. Do any of you have good (or bad) experience with plumbers who specialize in outdoor gas line work? Recommendations needed fast! BC Plumbing did a good job for us. Ward Wilson wrote: BC Plumbing did a good job for us. Thanks, Ward. BC is our regular plumber, and we're definitely getting their bid. I didn't know if they do outside gas-line jobs, though. You might try Kinman Plumbing. I have never used them personally, but I deal with their company on a daily basis and they seem like a standup company. Thanks, all. We're down to waiting for competing bids from BC Plumbing and Blackburn & Davis. Both competent, we've used them both before. I do have to say that Bruce of BC impressed me with his competence and to his commitment to find the least expensive way to do the job well. He came up with the idea of moving the old gas meter about 30 feet to save the cost of 30 feet of trench digging, and other good things. One important lesson learned: The new LG&E is not the old LG&E. They are much more rigid and bureaucratic, and if they find a gas leak outside your hose, no matter how trivial, they will cut you off NOW, even in the winter time. If you suspect you might have a gas leak, I now know that the smart thing to do is call a plumber first, and if the diagnosis is a leak, get it fixed, and THEN call LG&E. Robin Garr wrote: One important lesson learned: The new LG&E is not the old LG&E. They are much more rigid and bureaucratic, and if they find a gas leak outside your hose, no matter how trivial, they will cut you off NOW, even in the winter time. If you suspect you might have a gas leak, I now know that the smart thing to do is call a plumber first, and if the diagnosis is a leak, get it fixed, and THEN call LG&E. Food for thought ... they are more rigid because everybody pursues litigation for the least little issue these days. Imagine the lawsuits that could steamroll from LG&E not cutting off the gas, knowing there was a leak. Pete O wrote: Food for thought ... they are more rigid because everybody pursues litigation for the least little issue these days. Imagine the lawsuits that could steamroll from LG&E not cutting off the gas, knowing there was a leak. You're right, of course, Pete. Once they know, they can't ignore it. Although back in the good old days (five years ago), they might have been a little more flexible about a tiny leak outdoors. They put that butly mercaptan into natural gas specifically as a nose signal - it can be detected in the range of a couple of parts per billion. That doesn't suprise me one bit. Some of the local larger outfits have gone to a "standardized" estimating guide for work that is astronomical in pricing.. Some all follow the same guide that parallels price fixing and some anti -trust violation if you ask me. Just for an example one company that rhymes with Mexler Plumbing would be $3250 and my guys would come out at $750-950. Literally, and nine times out of ten, there work is better. Brian C wrote: That doesn't suprise me one bit. Some of the local larger outfits have gone to a "standardized" estimating guide for work that is astronomical in pricing.. Some all follow the same guide that parallels price fixing and some anti -trust violation if you ask me. Just for an example one company that rhymes with Mexler Plumbing would be $3250 and my guys would come out at $750-950. Literally, and nine times out of ten, there work is better. I have to add, in fairness, that both Blackburn and BC have done considerable work for us, and BC is usually competent, fair and competitively priced. That's why this bid surprised me, but what could I do but say "Thanks for the info" and hang up? That's all you can do. I will play a small role as devils advocate and say that sometimes two separate ways of doing the job can both be correct and get you the same results, one is just more labor/machine intensive, I try not to let it get under my skin but sometimes even as a contractor bids can vary 40+% on say 10k jobs, and that really grinds my gears. As soon as I feel that I'm even slightly being taken for a ride, I usually don't keep you on my "preferred" list In renovating houses for resale, it can really add up quick. I know exactly where you're coming from, because I too am willing to pay more for someone who I am familiar with/trust. It makes life alot easier. For LG&E customers, the requested rate increase would be 2.3 percent in 2012 and rise to a total increase of 19.2 percent by 2016.
every year it seems, i have to lower my thermostat 2 degrees. this winter it was set at 66 degrees and in the sumer to 76.
before you know it this winter, i'll be freezing my buns off and sweating in the summer. Rate increases are painful, but to give the opposing view on this - Kentucky still has regulated utilities, and as a result, has amongst the lowest gas and electric rates in the country. Our rates in Jefferson County are low even when compared to much of the rest of the state. 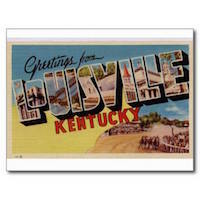 For example, our rates are much lower than those paid by my relatives in Eastern Kentucky, for a variety of reasons. In short, we have it pretty good here compared to the rest of the state and the country. As part of that regulation that keeps rates comparably low, however, utilities are allowed to recover from ratepayers the amounts spent on environmental upgrades, etc., necessary to comply with federal standards. Thus, this "rate increase" isn't actually an increase of the base rates, but rather an increase in the environmental subsidy. The media doesn't do a great job explaining this, and while the ultimate cost is borne in part by the consumer regardless, one should understand why his or her utility bill will increase. Bumping. I have contacted Mcvey and Blackburn & Davis and am waiting on them to get back with me. Does anyone have any recent experience having a gas line run to your kitchen/house? Thanks in advance for any updated info you may have. My husband spoke to John McVey and really liked him and his estimate so we are going with him. Thank you all.